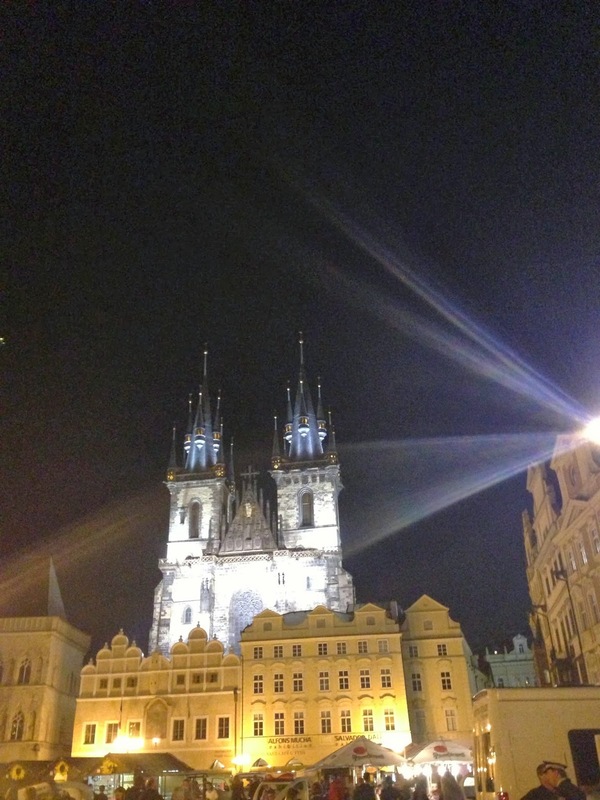 It's safe to say that Prague is high up on my list of favourite cities! I've heard of Prague being referred to as a fairytale town and it's true there really is something magical about this place. Maybe it's the gothic architecture mixed with the multicolour houses or the winding cobble stone streets filled with markets and street artist and lets not forget the palace up on the hill overlooking the city. 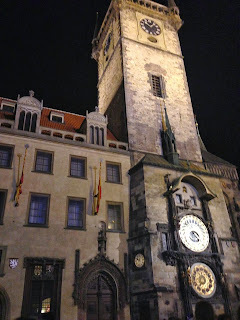 I certainly have some really special memories from my time here and the highlights being taking in the views from the palace, signing 'Never Tear us Apart' whilst walking over Charles Bridge (completely sober) and of corse dancing the night away in the famous five story night club (not so sober)! 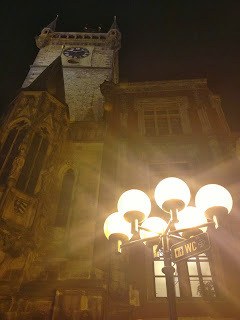 Whilst being picturesque during the day I feel like Prague really comes into it's element at night. The whole city is alight of night time and I managed to capture so wonderful photos showing beams of light dancing of the buildings. The beautiful lighting really helps with the fairytale vibe as well!